Want to be part of BugFest? Volunteer with us! Volunteer jobs span logistical (set up, breakdown, meal service, counting visitors, t-shirt sales, etc. ), educational stations and kids’ crafts and activities! 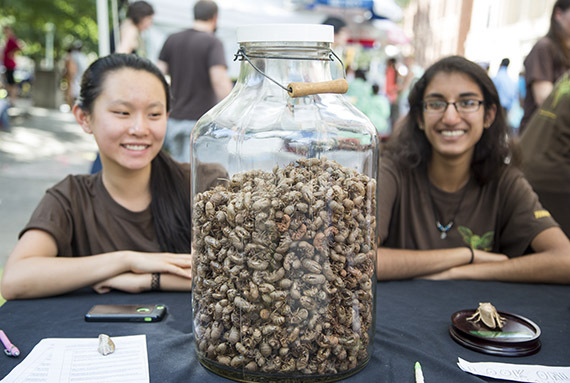 It’s loads of fun and you get a free BugFest t-shirt! Volunteers who work 2+ shifts get free lunch. Volunteers must be 13 years old to volunteer without a parent. Volunteers must be 10 years old to volunteer with a parent.